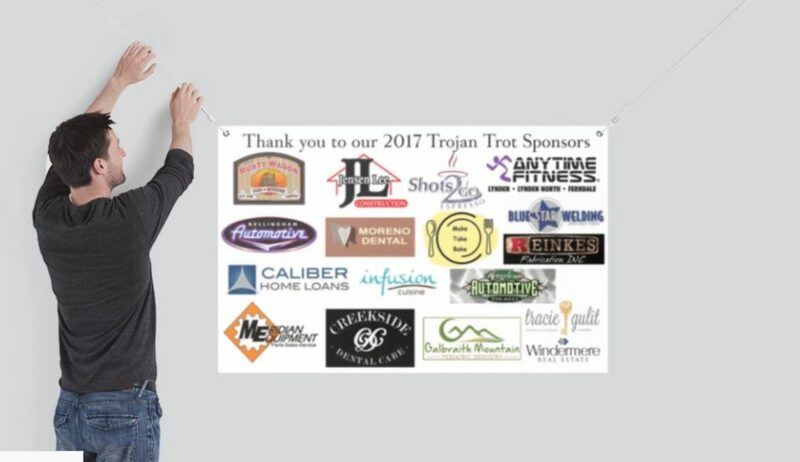 Do you own a business or do you work for a business who would like to become a business sponsor for Irene Reither’s Trojan Trot? Our only fundraiser of the year for Irene Reither Elementary’s PTA, the Trojan Trot Jog-a-thon is happening October 19th. Our students are doing their part by running their little hearts out and seeking pledges from relatives and friends. -All student field trips – Missoula Children’s Theater – Pacific Science Center visit and workshops – Family movie nights – Skate nights, Snuggle Up and Read, Kindergarten t-shirts – Teacher grant requests and more! Would your business consider investing in our students? If you choose to make a $250 or greater donation your business will receive a publicity package as a token of our thanks. Pictured above is last year’s banner. This thank you will include your business logo spotlighted on a banner proudly displayed at Irene Reither, your logo on our website www.MeridianPTA.org, a public thank you on our PTA community Facebook page and your logo printed in our Missoula Children’s Theater program. You will also receive a donation receipt for tax purposes. If you are interested in donating, please contact us at Info@MeridianPTA.org today! A member of our PTA will gladly pick up your donation at a time that works for you. Logos and website links may also be emailed for publicity package use. 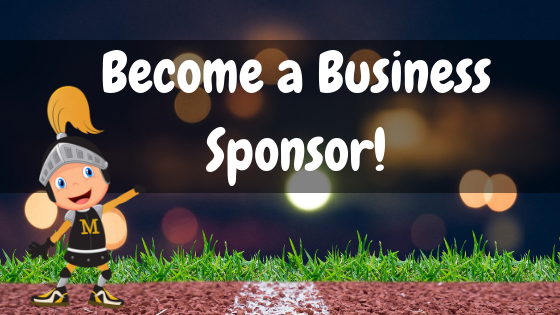 Click here to print the informational sheet on business sponsorship. Deadline for inclusion in publicity package is October 12th, but donations are welcome at any time.